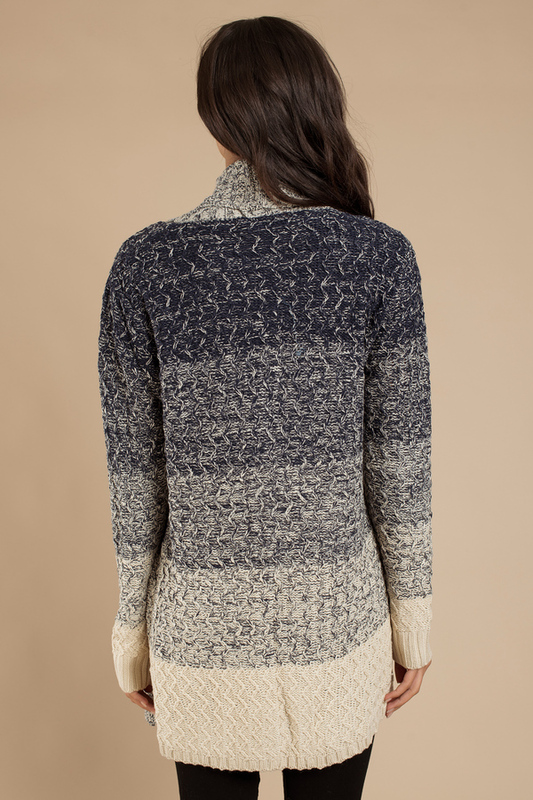 Check out Tobi's Chauffer Cardigan Get in the spirit of winter with the Chauffer Navy & Cream Knitted Cardigan. 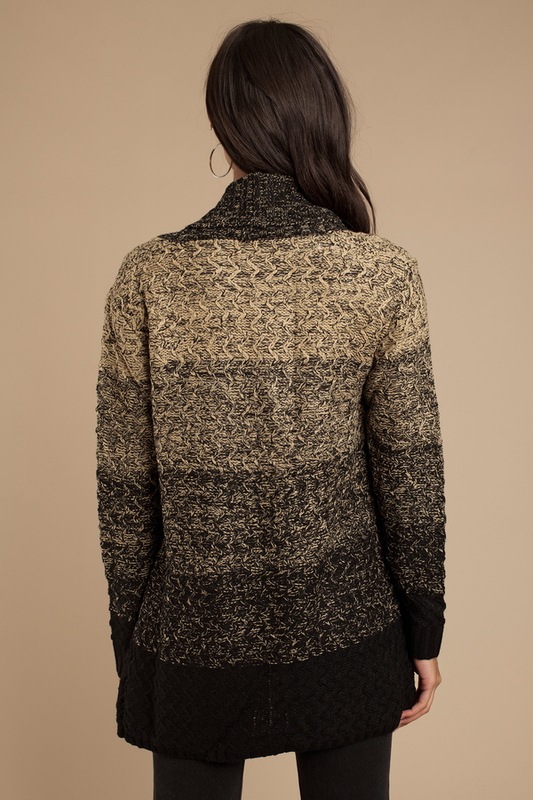 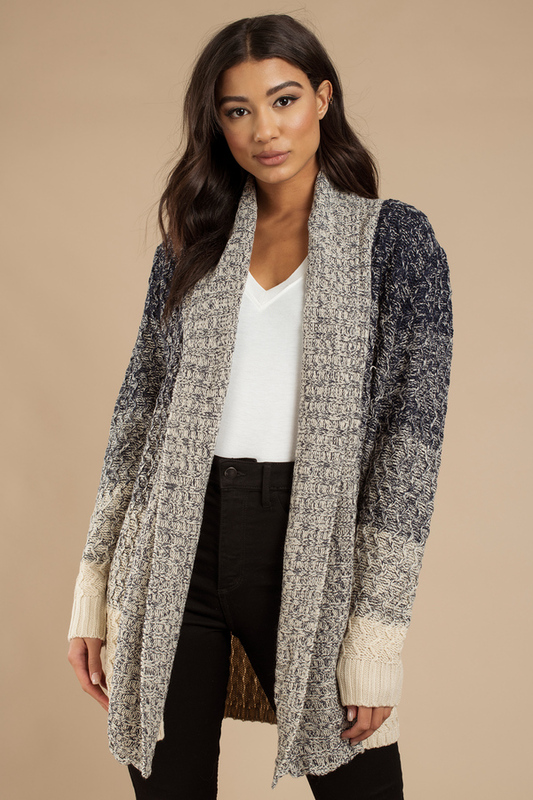 Look cool and cozy in this cable knit cardigan, featuring long cuffed sleeves, draped open front, and a slouchy construction perfect for all your layers. 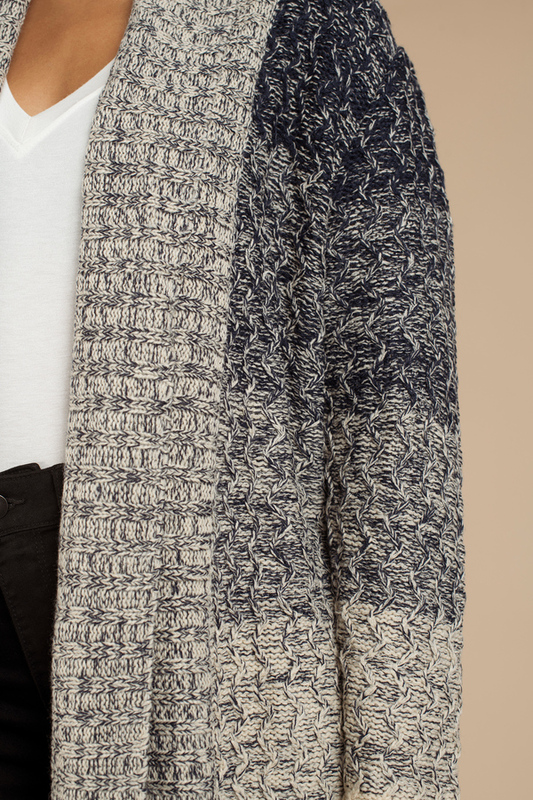 Pair this draped cardigan with high waisted trousers and boots.